Sometimes I wonder where I came from, we all do it though, don't we? I have heard over the years about my family coming from travelling communities and I had traced back my family history for about 100 years. It is all very interesting when you look into your history and heritage. I decided that I wanted to go one step further and see how far back I could really go with my history. 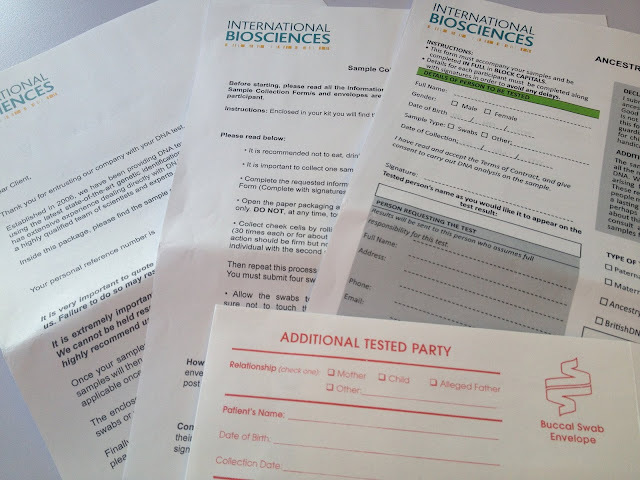 I was offered an opportunity to work alongside the team from International Biosciences and try out one of their Maternal Lineage tests. Having never done anything like this before, I really didn't know what to expect. My pack arrived really quickly and I read through the instructions to ensure I did it all correctly for an accurate result. All I had to do was to make sure that I swabbed the inside of my mouth with the cotton buds and left them to dry before placing them in an envelope and sending them back with a form that I filled in with my details. They ask for your email address and phone number so that if there is a problem, they can contact you quickly. It does take a few weeks for the results to come back but the wait was worth it as I actually discovered that I come from The Middle East and Southwest Asia. You receive a map with all of your descendant's movements over the last 20,000 years. It's amazing that a swab from inside your mouth can show this much about your history and makes me understand more about how DNA testing is used when historical graves are found. You get a whole breakdown report from the company and it explains how it all works. It was nice to know where I actually came from and to know where my frizzy hair comes from! Some of it was a bit daunting and I had to read more up on it to understand it, but I am so glad that I did it because now my own children know about their heritage and where their ancestors come from. It is quite amazing what they can find out. The service itself was quite fast, especially when you think that it is all sent off by post and if there is a problem they are really quick to get in touch with you. If you fill the form out wrong, they contact you too and it can be easily sorted out by phone or email. When you get your results it can be a bit daunting, but there help to understand the results on the website and they should help you through it. 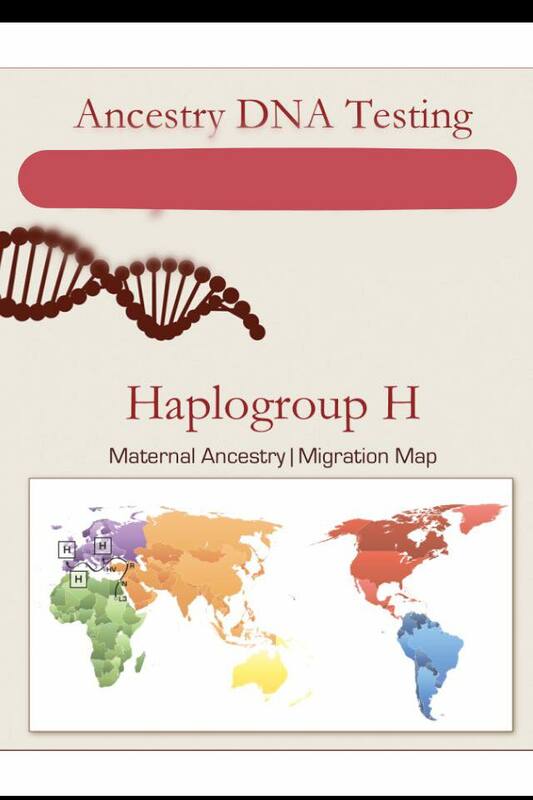 Your test comes with haplogroup designation, so if you think of haplogroups as your ancient maternal clans. 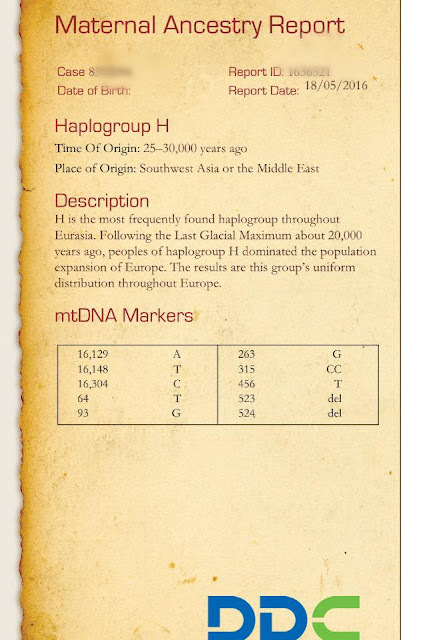 Knowing your haplogroups means knowing your true early origins – are they Indigenous American? West Asian?South Asian?European? For you to find out, you just need to go to www.ibdna.com. If you are looking for a paternity DNA test then you can just pop over to www.genetictestkits.co.uk where they will offer you a discreet service.